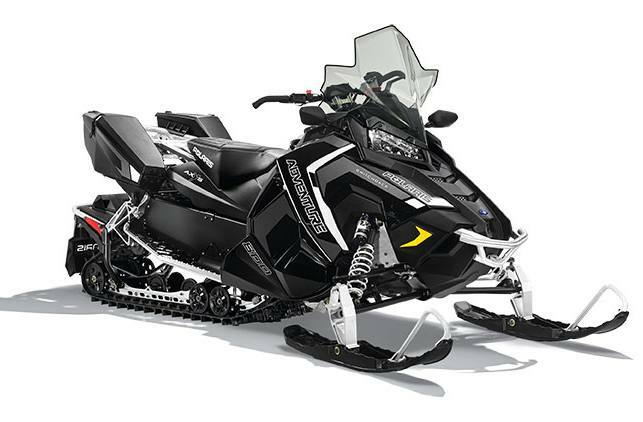 The 800 Switchback® Adventure snowmobile is for on and off trail riders that demand the ultimate in versatility with a sled that can do it all. Easily install the Lock & Ride® Convertible Passenger Seat to ride with a passenger. The sled comes standard with the AXYS® Pro-Fit Cargo Rack and Cargo Rack Saddle Bags for hauling gear on long journeys. AXYS® Chassis: The AXYS® chassis features 93% new parts, including an aluminum overstructure. The chassis structure and design makes it possible to change the rider positioning, centralize vehicle mass, redesign the rear suspension, add more power, remove weight, and evolve the rider’s riding experience. In short, it is the key to delivering rider-balanced control, unrivaled acceleration, and rider-centric comfort. PRO-XC™ Rear Suspension: The completely redesigned geometry of the PRO-XC™ progressive-rate rear suspension is optimized for the best performance and Rider-Balanced Control. 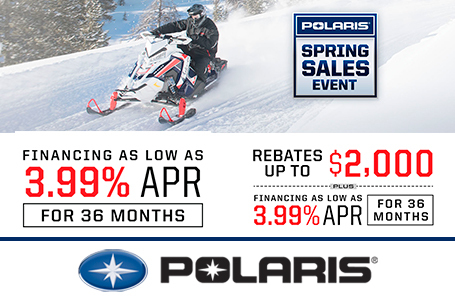 Through innovative Polaris engineering and construction, the suspension is both lighter and stronger, featuring: Lightweight, forged aluminum rear crank; Completely redesigned crank and pivot; Front torque arm was moved rearward to control pitch, increase travel, and improve the rail profile. 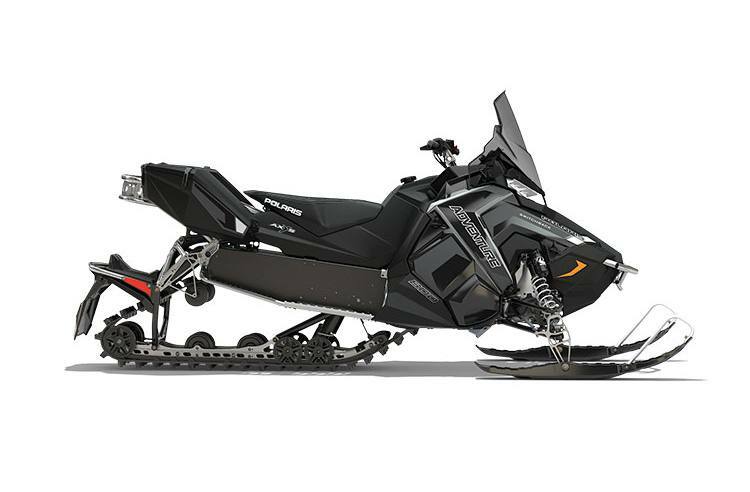 Lightweight: When developing the AXYS® platform, Polaris engineers minimized weight throughout the sled without compromising strength. The 800 Switchback Adventure is approximately 30 pounds lighter than the previous chassis and weighs approximately 30 lb. less than a competitive crossover model. Front Shock: FOX® Comp. Adj. Piggyback; Front Suspension: AXYS® Front Suspension; Front Track Shock: FOX® Comp. Adj. 15 x 137 x 1.352 in.